The closing keynote address at this year’s Annual Cardiovascular Nursing Symposium is not to be missed! Dr. Cynda Rushton is a nurse, clinician, educator, researcher and advocate for compassionate health care. 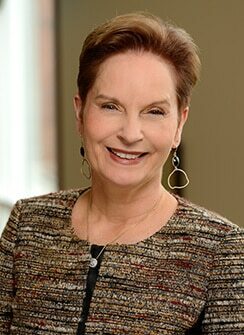 She currently serves as the Anne and George L. Bunting Professor of Clinical Ethics in the School of Nursing and the Berman Institute of Bioethics at Johns Hopkins University. An expert in moral distress among health care providers, Dr. Rushton developed the Mindful Ethical Practice and Resilience Academy (MEPRA) for Hopkins nurses. This six-session program teaches nurses how to stabilize their nervous systems through meditation, discern and analyze ethical challenges, and confidently communicate when discussing an ethical issue with patients or other health care providers. Dr. Rushton’s forthcoming book, Moral Resilience: An Antidote to Moral Distress (Oxford University Press) will highlight these practices, as will her closing keynote, Caring for Ourselves so We Can Care for Others. Don’t miss it!